Hello! The traditional colors and beautiful images from the new Christmas Wishes collection are great for all Christmas projects, cards, and scrapbooking. 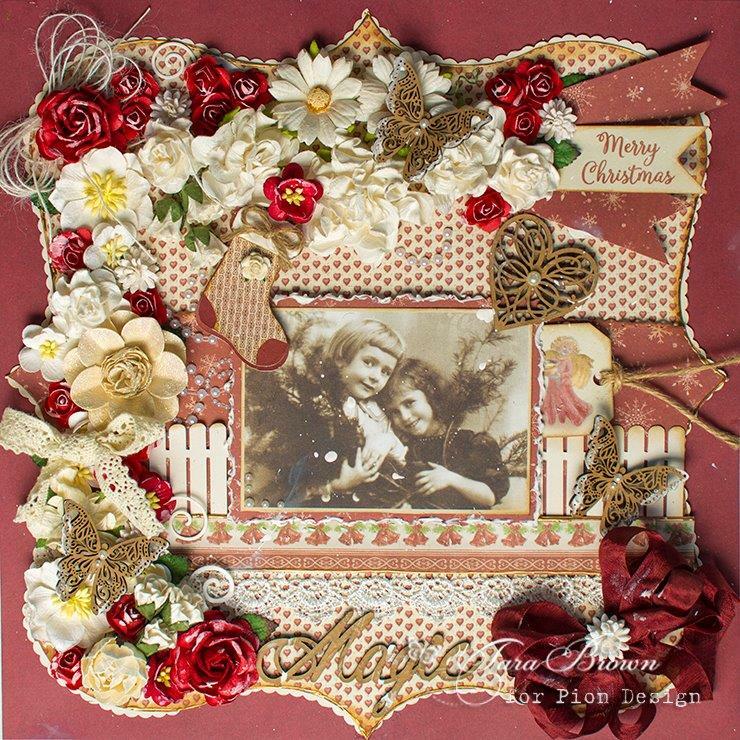 I started Christmas crafting this year by making this layout using the reds from the collection, and then found a precious photo from From Grandma’s Attic. Wishing everyone a great day crafting with these beautiful new papers! How do you cut the paper shape? I have a similar shaped album and am having difficulty cutting out the edges of the papers. I want to make a mini album like this with Pion’s beautiful papers.